The Three Arches Foundation Board of Directors provides organizational leadership and oversight, and guides the Foundation’s work with the resources entrusted to its care. Our volunteer board is comprised of highly qualified community leaders and health care professionals who bring their combined knowledge and expertise to help enhance and support the health and well-being of citizens in Lakewood and surrounding communities. Together, with a passionate belief in the power of philanthropy, the board works to better understand the needs and gaps affecting community health to forward the Foundation’s mission. Chas Geiger is chair of Three Arches Foundation Board of Directors. In this role, he leads a volunteer board that connects people, ideas and resources to impact the health and well-being of citizens across Lakewood and surrounding communities. Geiger is actively involved in a number of Lakewood organizations and recognized for his civic leadership and community contributions. Most notably, Geiger served on the Lakewood Board of Education for twenty three years, including five terms as president, and was past treasurer and founding trustee of the Lakewood Public Schools Alumni Foundation. In addition, Geiger has served and supported the Kiwanis Club of Lakewood, Downtown Lakewood Business Alliance, Beck Center for the Arts, LakewoodAlive, former Lakewood Hospital Foundation, and the Lakewood Chamber of Commerce where he was named Businessperson of the Year. Geiger has also served on the First Federal Lakewood board of directors since 1999 and was elected board chair in 2016. A lifelong Lakewood resident, Geiger is president and CEO of Geiger’s Clothing & Sports, a family-owned business located in Lakewood, Cleveland and Chagrin Falls. 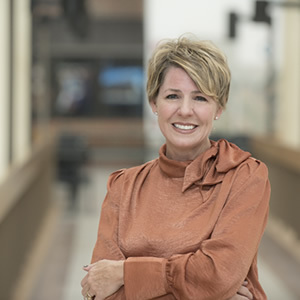 Kristin Broadbent is president and CEO of Three Arches Foundation. Kristin provides executive management and oversight of Three Arches Foundation including community investment, financial stewardship and strategic direction. She works to define initiatives and implement programs to achieve the organizational vision and shape the Foundation’s role as civic leader, grantmaker, philanthropic partner and charitable giving vehicle. 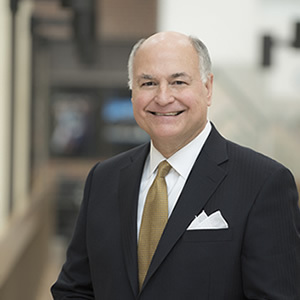 Over the past 25 years, Broadbent was responsible for leading and directing the overall operation and strategic direction of the former Lakewood Hospital Foundation. Most recently, Broadbent was instrumental in managing the successful transition from a hospital-focused development organization to a grant making foundation. Prior to Lakewood Hospital Foundation, Broadbent served as assistant executive director of the Leukemia Society of America, Northern Ohio Chapter, where she had responsibility for development activities related to foundations and corporate donors, and served as the liaison to the National Office. Broadbent is active with Philanthropy Ohio, serving on the Health Initiative, which is a coalition focused on health policy reform that improves the health of all Ohioans. She is also involved with the Lakewood Chamber of Commerce, Exponent Philanthropy and Northern Ohio Planned Giving Council. Kristin and her family reside in Fairview Park, Ohio, where she is involved with a myriad of community, school and sports activities. Read the latest message From Our Chair.